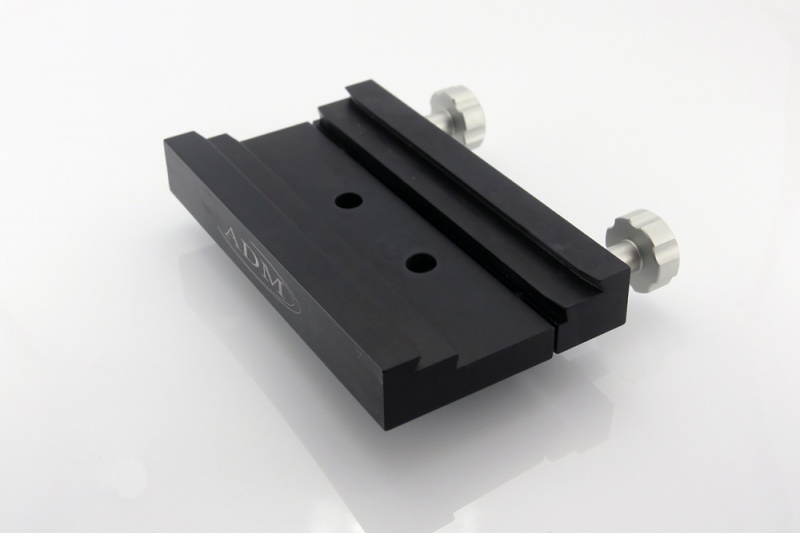 Allows the Orion Sirius and SkyWatcher EQ5 and HEQ5 Pro mounts to accept Losmandy style "D" series dovetail bars as well as Vixen "V" series dovetail bars. The Unique Dual Saddle design allows either "D" Series or Vixen "V" Series dovetails to be used. The saddle is 7" long and has two large locking hand knobs. The split clamp design grips along the entire length of the dovetail bar and will not mar the finish of your dovetail bar. The saddle is spring loaded making installation and removal of the telescope easier. Everything is black anodized and stainless steel for ultra good looks and maximum durability.